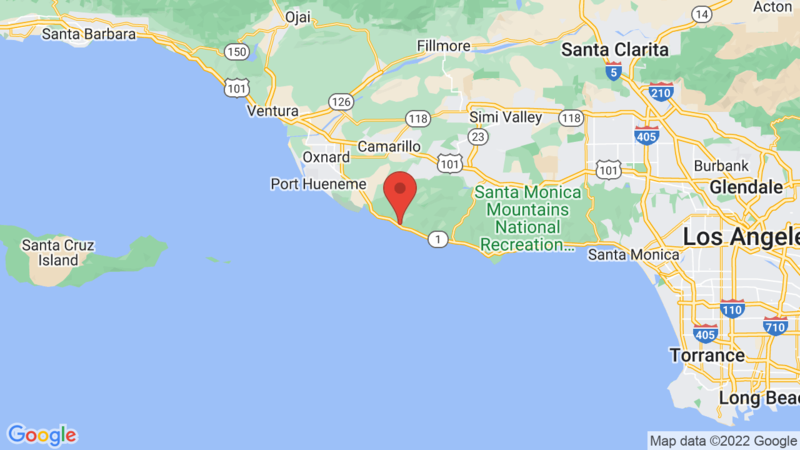 Sycamore Canyon Campground (in Point Mugu State Park) has 58 campsites and is about 1/2 mile inland from the ocean in a pretty canyon of giant Sycamore and Oak trees. The sites can accommodate tents, trailers and RVs (up to 31 feet). All campsites are on the reservation system (site assigned on check in), with the exception of the hike/bike campsite. There is a limit of 8 people and 2 vehicles per campsite. Each campsite also has a table, fire ring and grate. Sycamore Canyon Campground has drinking water, flush toilets, hot showers ($), a nature center and an RV dump station. There are no hookups here. Our favorite Sycamore Canyon campsites are: 11, 12, 13, 14, 15, 16, 17, 29, 30 and 45. Thornhill Broome Campground (along PCH) is another option located in Point Mugu State Park. Point Mugu State Park is located on Highway One up the road from Malibu. The park features 5 miles of ocean shoreline and 70 miles of hiking trails along the beach and in the Santa Monica mountains. You’ll find rocky ocean bluffs, sandy beaches, rugged hills, two river canyons, grassy valleys and even the jagged pinnacles of the Boney Mountains State Wilderness area. Outdoor recreation includes horseback riding, hiking, biking, picnicking and wildlife viewing. You can also hike or drive about 1/2 mile to the ocean (Sycamore Cove) and also enjoy swimming, surfing, fishing, kayaking and beach combing. You can also spot some whales during migration season. Visted Sycamore Canyon Campground lately? We'd love to hear about your adventure. Did you find us useful? Did we forget something? Anything our community should know before heading out to Sycamore Canyon? Just got home from our very first family trip, and I’m so glad that we chose Sycamore Canyon. The campgrounds are well maintained and very contained. Our neighbors were great, we invited the two neighboring sites over for s’mores, and just had a blast. The bathrooms were very clean, all the fountains worked. There was a fire a couple of months (or maybe even a year) back, so the amount of wildlife (i.e. snakes) was just nonexistent. The trails are busy with mtn bikes and day hikers, but there wasn’t really a moment I felt like we were close to a high-use trailhead. The rangers circle through on a regular basis, and the park host was always very welcoming. Skip buying firewood at the grocery store, and buy the wood there for $7/bunch. Would love to go back at any moment. We enjoyed the day hiking, hearing the waves crashing, and just a lot of peace and quiet. FYI – you’ll only get cell service if you stay in the day use area. There was *NO* cell coverage in the canyon or up on any of the trails. Showers were a $1, bring a bill…the token machine for the shower didn’t show a spot to insert coins. I’ve been reading conflicting reports about site assignments for Sycamore Canyon. Are the site-specific reservations, or are they assigned upon arrival by the camp host? As far as we know the campsites at Sycamore Canyon (Point Mugu State Park) are site-specific through ReserveCalifornia. 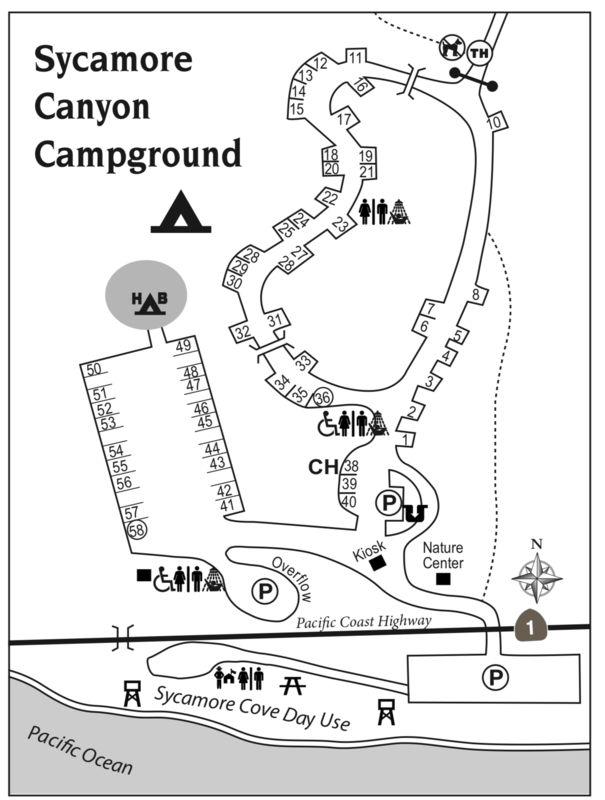 You can access by clicking on the ‘Make A Reservation’ button from the Sycamore Canyon campground page.